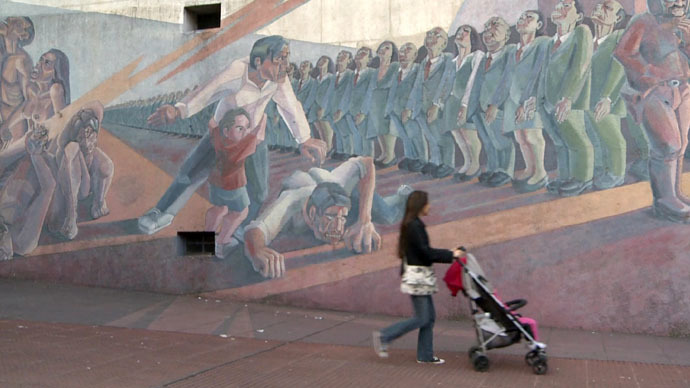 Almost 500 children in Argentina had their identities erased in the 1970s, after their parents were murdered and they were stolen to be brought up in families with loyal ideology. RTD met with some of the victims who have reunited with their families. "First I had been visiting maternity hospitals to look at the newborns, then I went to search among children in primary schools, then among seniors, and then I went to universities. I had been imagining him in his different ages. I kept looking for him," Estela De Carlotto told RT's documentary channel (RTD). 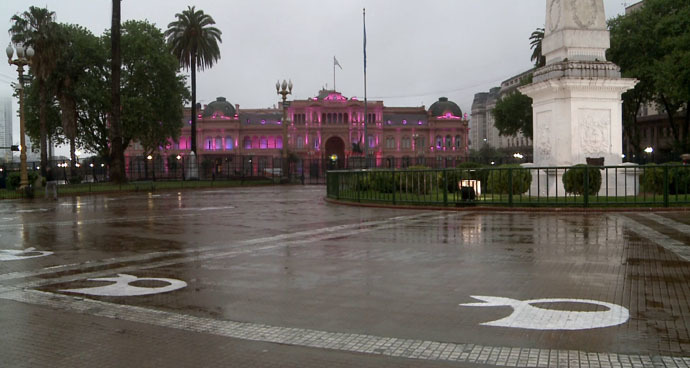 The woman – who is one of many activists known as the Grandmothers of the Plaza de Mayo – lost her pregnant daughter to the military junta regime, which ruled the country from 1976-1983. For decades, she and other members of the organization have aimed to find children who were stolen and illegally adopted. "Once I was watching TV together with my wife, and I saw Estela, and said: 'How awful! This woman might die without ever embracing her grandson.' And then it turned out that grandson was me," Ignacio Hurban told RTD. The man had been living without knowing anything about his true identity for decades. Although the family that adopted Ignacio said they didn't know that his biological parents were murdered by the regime, many others have been taken to court and are serving sentences for stealing babies away from their real families. The plan was to ensure that children of the regime's victims – up to 30,000 of whom were killed – were brought up in the "right" ideology, knowing nothing about their parents who fought against the regime. "I was forcefully separated from my mother when I was eight months old. Now, when I have a daughter myself, I understand how it feels to have a child, and what it could mean for a mother when her child is taken away from her, forcefully torn away from her arms and taken God knows where. I would search an entire world to find my daughter," Claudia Poblete said. Claudia is one of just over 100 lost children who are now finally aware of the web of deception that surrounded their entire lives. Nearly 400 are still deprived of the truth. A determined group of Argentinian grandmothers are refusing to give up, and keep looking for their missing grandchildren. "Knowing the truth is the best a person can experience, as only such knowledge gives us freedom," said Juan Cabandie, who learned of his true identity years after his real parents were murdered. Watch the documentary 'Argentina's Stolen Children,' premiering on RT and RTD on January 30.